Poland's CPI decelerated in February to 1.4% YoY from 1.9% YoY in January. This was below the market consensus (at 1.8% YoY) but close to our expectations (1.6% YoY). The factors driving CPI down were: the drop of food prices by 0.4% month-on-month (after a few months of strong gains in 2H17 and January) and the drop of fuel prices in monthly terms (the base effect here is very high). Also, importantly the core CPI eased to 0.9% YoY from 1% YoY in January 2018. The statistical office also provided the annual revision of its basket; there are limited changes in the weightings and the January CPI reading remains unchanged. The February CPI reading presents a downside risk to our forecast and also the NBP's estimate of average CPI at 2.0% YoY in 2018 (after that we see average CPI at 1.8% YoY this year), and reinforces the ultra-dovish MPC stance. We are not expecting a hike until 4Q19. 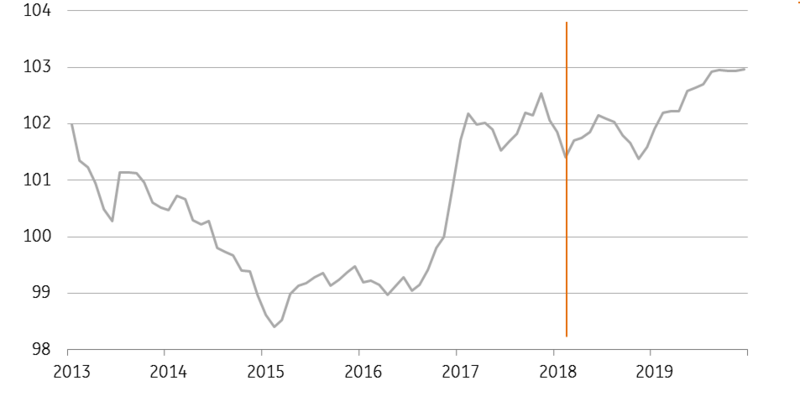 The market is still pricing 47bp of tightening by the end of 2019, down from about 70 before the February MPC meeting, which we still think is excessive.